NOTE: every quantity in this recipe is in grams and it is a recipe for 100 gr of product. The meaning of “to 100” means that the quantity of the water (in this case “rose water”) is counted until reaching 100 gr for the entire recipe. In the very end I also added one drop of water soluble red food coloring. This is why it is pink (needless to say this is totally up to you). 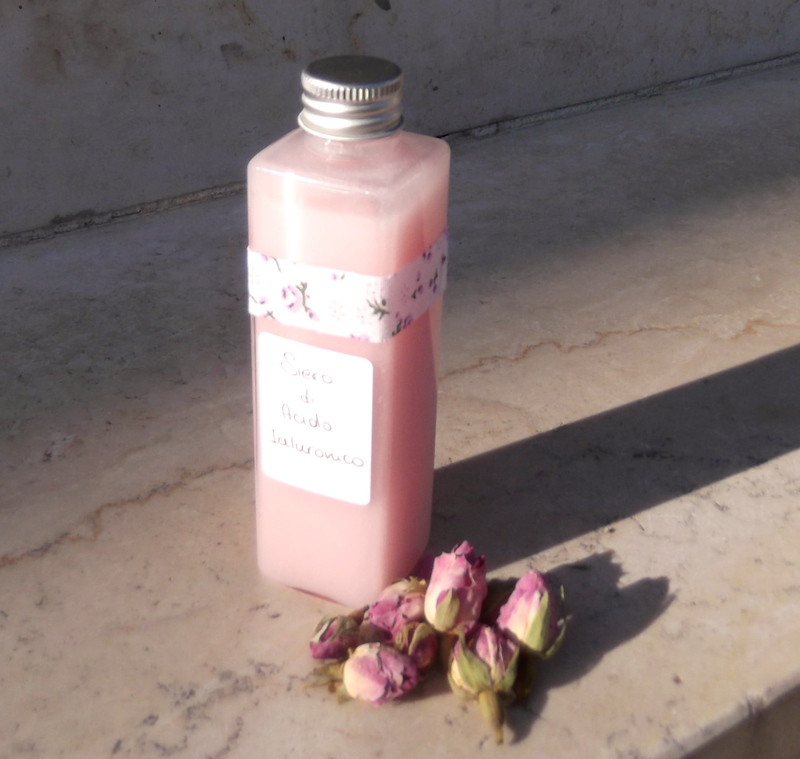 I made the Hyaluronic acid using rose water the evening before. Of course I used 1 gram of sodium hyaluronate and around 80 grams of rose water… not 100. The morning after the gel was ready so I just mixed it a bit and added these ingredients in the recipe. I added the preservative in the end. 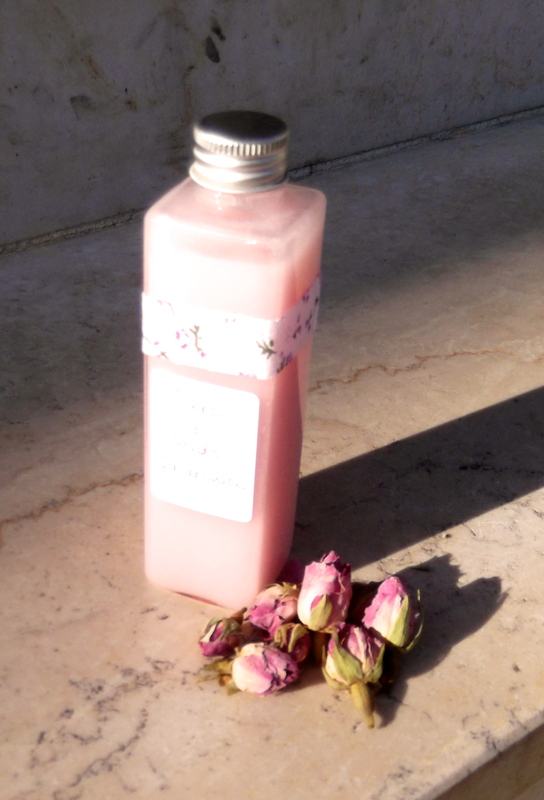 I did not have any substance to solubilize the oils inside of the gel (at the time that i created this serum) so I decided to give good use to those who are usually inside commercial Rose water! 😀 Ok let me explain: inside of commercial Rose water they solubilize stuff like perfume/essential oils and preservative (at least usually). To make the water still clear and transparent they use a bit more solubilizer than needed… you can be sure about this by shaking the bottle of the rose water: if a few bubbles form (kind like in a light bubble bath) then you can be sure there is some free surfactant substance (the solubilizer…) inside of the rose water. I say “free” because part of it reacted to solubilize the oils inside of the water… and part of it is still free and making therefore the water clear once again. And this is also why it is not transparent (apart for the fact that Sk-influx are not transparent at all)!